Select a year below to see a breakdown of the Manitoba election results for that year. 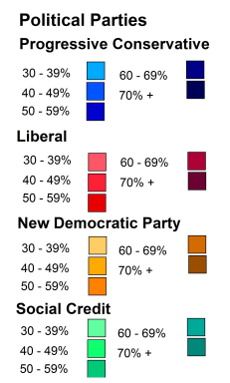 Note: The shade of the party colours represents the level of support for a particular winning candidate. 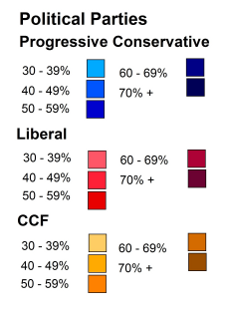 The darker the shade, the higher the voter support.